Just south of Tampa this Florida airport services many of the state's finest beaches and resorts. When you fly into Sarasota Bradenton International Airport you can move through the area quickly. Offering close distance to both Sarasota and Bradenton, SRQ Airport ushers business travelers as if they were on vacation and vacationers as if they were in heaven. Make every moment a special one by anticipating what you’ve got waiting on the other side as you enjoy the amenities, shops, and delicious local food as you wait. The facility is home to easy parking options, which include the Short-Term Lot across from the Main Terminal. The first 30 minutes of the short-term lot are free for those in need of a swift pick-up or arrivals. 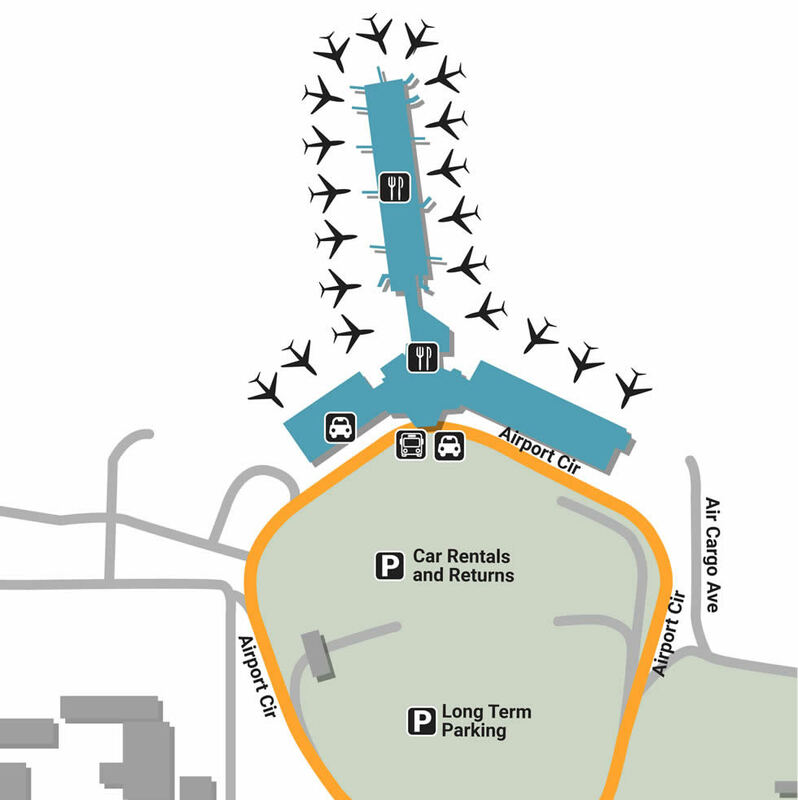 Located a bit further is the Long-Term Lot, which offers free shuttles to and from the Main Terminal. If the only thing you’re concerned about is convenience, let those concerns float away with the help of Valet Parking, available near the Drive Center Canopy in front of the Main Terminal. If you travel with the airport often, utilize the Thanks Again Rewards Program for 1 airline mile per dollar spent on parking. Retail, food, and parking are all nice, but nothing beats the kindness of a stranger. Perfect for those traveling on business, the facility offers a comfortable Conference Room in the first-floor lobby, seating up to 15 people with the option of catering. Make sure your pets stay nice and relieved by visiting either Animal Relief Area, one located west of the terminal near the taxis and another on the east end near ticketing. There’s also a special indoor area near Gate B2. If you’ve lost something important and are worried you’ll never see it again, contact the Lost & Found coordinator at (941) 359 2770. Visit one of the many Florida-themed gift shops or other local boutiques that turn the grey world of traveling into something colorful. Pick up everything you need and more at Gulf Coast Travel Mart, located pre-security and also offering an embedded Dunkin’ Donuts. If you’re planning to put a few rounds in, enjoy the beautiful colors of PGA Tour Shop’s gear before passing through security, or accentuate your beauty with gorgeous jewelry from Brighton Collectibles, located inside the same shop. After security, do some light reading with one of the CNBC newsstand’s papers or books, or enjoy the Read & Return Program at The Paradies Shop next-door for 50% of your money back after fully reading your book. Instead of whining & dying in your head, spend the afternoon wining & dining, enjoying your delay with frozen treats and warm dinners. Located pre-security are a few restaurants, including Dewar’s Clubhouse, a sophisticated American bar & grill with several scotch options, and Freshens, an Atlanta soft-serve yogurt shop. Take advantage of the few local options you have as you wait in post-security, enjoying a Wolfgang Puck gourmet salad or sandwich at the delicious Gulf Breeze Cafe, listed as one of the best restaurants by Airport Revenue News 9 years in a row.